MBBS stands for bachelor of medicine and bachelor of surgery. It is one of the most noble degree and only selected students get admission into it. After getting admission, new students usually search for mbbs first year books and related things but usually they didn’t get their required details. When i got admission in medical college i searched for the same phrases to find about different books that are thought during first year of mbbs but i didn’t get satisfactory results from internet. And as i was a blogger from my school days, i decided to start a site for medical students to help them out. And this site is the result of that decision. Here i share various medical books with my readers for free and they can also buy it with my link at discount prices. 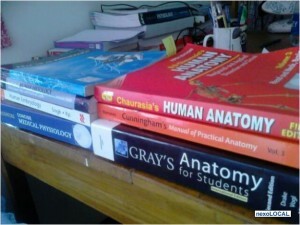 Here in this post, i will list all the medical books that are thought during first year of mbbs. Here is the list of subjects that are studied in 1st year of MBBS here in Pakistan. I am not sure about other countries but if additional subjects are studied then that books could also be available on this site. Under anatomy, gross anatomy, general anatomy, histology and embryology are studied. Snell clinical anatomy is one of the best book for gross anatomy. It also includes all the clinical cases and treatments etc as well along with detailed diagrams. You can download Snell clinical anatomy here. This is also one of the standard anatomy books studied by many students. You can read more about it here. This list will be update soon. 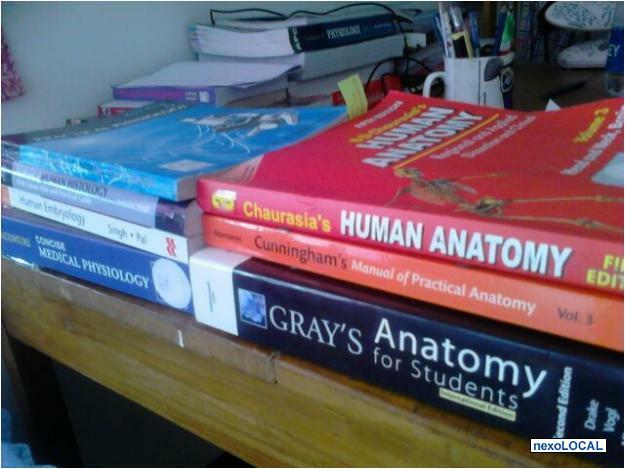 Gray’s anatomy is also one of the standard book for Human gross anatomy. You can find about it here. For histology diagrams, it is highly recommended to use Di fiore atlas of histology. You can download it in pdf here. Want an atlas for human anatomy, then download netter atlas to find the fun of learning anatomy. Langman embryology is one of the standard book of human embryology used by many students. You can download this book in pdf format from this site. Following are the highly recommended books for physiology. According to my experience, the best book for studying physiology is Guyton and Hall Textbook of medical physiology. You can read more about its features here. This is the another best physiology textbook. We have done a complete review of this book of sembulingam physiology pdf. You can read it here. This is one of the best book from lippincott series. You can download it from this link. I haven’t read this book myself but uploaded on the request of one of my reader. So, you should also read it as this was requested by many people. You can download it from this page. Textbook of medical biochemistry by Mn Chatterjea is another great book for learning biochemistry with clinical notes. You can download this book from the link above. You can find many other biochemistry related knowledge ( notes and practices etc) from biochem category. Would you please upload Inderbir Singh’s Human Embryology. It is recommended by our college . How I will download hamza brother. click on the red link. it would take you to the book page…then on book review, at the end of review there would be another red link for download page.click that and on the next page (google drive) click on download button. Nice collection of books, and perfect typing. God bless you tremendously doc!……… you are really doing a great job! Thanx a lot……amongst the pool of so many useless sites….this serves a lot!! And yaah…..plz do help with ganong!!!! can i knw the source from where u get the books?? Dear Hamza , thanks a lot . God bless you . Its a very good and usefull place . Thank you so much. You have no idea what you’re doing for underprivileged medical students. I’m from Nigeria and I use this site a lot. will you upload final year obg books..
i have upload some of final year book to allmedbooks.com you can search there…if you want me to upload some specific book then mention its name and i would upload it for you. Great JOB!,You Are A Gem!!!! What about cunningham’s anatomy? ?is it not in pdf format?? yes our server was down. it should be working fine now. Hi thanks alot for your wonderfull job Dr.
Kindly upload Inderbir Singh- Medical embryology at the earliest. Is this any way to correspond with a voluntary uploader ? Please change the tone of your correspondence. Hamza is not a servant. In my opinion, “Could you do us all a favour by uploading as and when you find it ? Your service is much appreciated. Thanks in advance.” is a far better way of saying it. Maybe you should start learning basic decency first. Makes for a better doctor. Asalam-O-Alaikum… Pls admin post histology by laiq hussain… I need it most right now pls post it pls. will try to find and upload. yes will update this post. I want GK Pal book of medical physiology.